Smithfield Market in London, is the largest market specialising in meat in the UK, and one of the biggest in the whole of Europe. Meat has been traded here for over 800 years and this makes it one of the oldest markets in London. The market is open to the general public as well as restaurants, caterers and other traders. Anyone can feel free to browse the Smithfield market butchers stalls and its wide range of high quality produce. Many different Smithfield market butchers and suppliers operate within the market, including ourselves - Meat No Veg. And now with our web site, we are keeping bang up-to-date by making buying meat online from the market quick and simple. Here at Meat No Veg we are proud to be able to say we are one of the Smithfield market butchers. The market has more than just your traditional Smithfield market butchers. There are many different types of stalls within the market including general butchers and highly specialist stalls that only sell pre-packed goods, organic goods or halal meats. It is even possible to find some non-meat items such as oils and cheeses in the market. 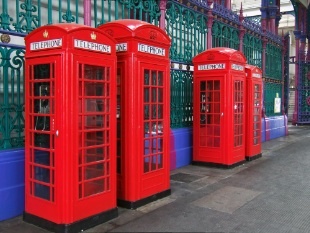 Smithfield Market, formally known as London Central Markets is situated in the heart of London between St Paul's Cathedral and the Barbican. 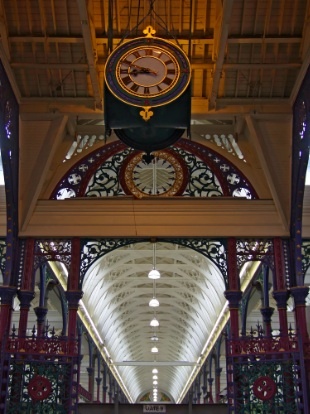 Smithfield Market operates every weekday from 03.00am and reaches its peak trade around 06.00am. It is housed within three Grade II listed Victorian buildings yet still uses state of the art technology and facilities for logistics and storage. Much of this was facilitated by the recent 70 million pound refurbishment of Smithfield, funded by the Corporation of London. William Fitzstephen described the site in 1174 as ‘a smooth field where every Friday there is a celebrated rendezvous of fine horses to be sold, and in another quarter are placed vendibles of the peasant, swine with their deep flanks, and cows and oxen of immense bulk’. The livestock market expanded over the centuries to meet the demands of the growing population of the City. In 1710, the market was surrounded by a wooden fence to keep the livestock within the market; and until its abolition, the gate house of Cloth Fair was protected by a chain (le cheyne) on market days. Daniel Defoe referred to the livestock market in 1726 as "without question, the greatest in the world" and the available figures appear to support this claim. Between 1740 and 1750 the average yearly sales at Smithfield were reported to be around 74,000 cattle and 570,000 sheep. By the middle of the 19th century, in the course of a single year 220,000 head of cattle and 1,500,000 sheep would be "forced into an area of five acres, in the very heart of London, through its narrowest and most crowded thoroughfares". The volume of cattle driven daily to Smithfield started to raise major concerns because the unsanitary conditions posed a potential threat to public health. In 1852 an Act of Parliament was passed for the construction of a new cattle market in Copenhagen Fields, Islington. This opened in 1855 under the name of ‘The Metropolitan Cattle Market’ and West Smithfield was left as waste ground for approximately ten years. The first extension of the meat market took place between 1873 and 1876 with the construction of the Poultry Market immediately west of the Central Market. A rotunda was built at the centre of the old market field, with gardens, a fountain and a ramped carriageway to the station beneath the market building. Further buildings were added to the market in later years. The General Market, built between 1879 and 1883, was intended to replace the old Farringdon Market located nearby and established for the sale of fruit and vegetables when the earlier Fleet Market was cleared to enable the laying out of Farringdon Street in 1826–1830. A further block (also known as Annexe Market or Triangular Block) consisting of two separate structures (the Fish Market and the Red House) was built between 1886 and 1899. The Fish Market was completed in 1888, one year after Horace Jones' death. The Red House, with its imposing red brick and Portland stone façade, was built between 1898 and 1899 for the London Central Markets Cold Storage Co. Ltd. It was one of the first cold stores to be built outside the London docks and continued to serve Smithfield until the mid-1970. As Smithfield market was built, a cut and cover railway tunnel was constructed beneath the market to create a triangular junction with the railway between Blackfriars and Kings Cross through the Snow Hill tunnel — closed in 1916, but now used for Thameslink services. This allowed the construction of extensive railway sidings, beneath Smithfield Park, and the transfer of animal carcasses to the Cold Store building, or direct to the meat market via lifts. These sidings closed in the 1960s, and are now used as a car park, accessed through a cobbled descent in the centre of Smithfield Park. Today, much of the meat comes to the market by road. Horace Jones' original Poultry Market was destroyed by fire in 1958. The Grade II listed replacement building was designed by Sir Thomas Bennett in 1962–1963. The main hall is covered by an enormous concrete dome, shaped as an elliptical paraboloid, spanning 225 feet (69 m) by 125 feet (38 m) and only 3 inches (7.6 cm) thick at the centre. The dome is believed to be the largest concrete shell structure ever built in Europe by that time. During World War II experiments were undertaken in a refrigerated meat locker hidden deep in the bowels of Smithfield Market. Max Perutz and colleagues were hidden behind a ‘front’ of frozen animal carcasses in a large underground cold store so that they could investigate the properties of pykrete, a mixture of ice and wood pulp, thought to be stronger than steel. If successful, pykrete was to be used as a material in the construction of floating airstrips in the Atlantic, facilitating the refuelling of cargo planes supporting Lord Mountbatten’s operations. The scheme was the brainchild of Geoffrey Pike and part of Project Habakkuk. However, the development of longer range aircraft meant that the airstrips were no longer needed and so the project was abandoned. During 1945 a V2 rocket hit the north side of Charterhouse Street, near the junction with Farringdon Road. The explosion caused over 100 casualties and caused massive damage to the Market buildings, extending into the underground railway tunnels. Smithfield is the only great London market not to have moved out of central London for cheaper land, better transport links and more modern facilities. The purpose of the market is to supply inner city butchers, shops and restaurants with meat for the coming day, so the trading hours are from 1:00 a.m. to 9:00 a.m. every weekday. Instead of moving away, Smithfield market has been modernised on its existing site: its imposing Victorian buildings have had access points added for the loading and unloading of lorries. Some of the former meat market buildings now have other uses. For example, the former Central Cold Store, in Charterhouse Street is now, most unusually, a city centre cogeneration power station operated by Citigen. Another former cold store now houses the night club Fabric. Part of Smithfield is still open space: a large square with the market on one side and mostly older buildings on the other three. A public park is at the centre. The south side is occupied by St Bartholomew's Hospital, and part of the east side by the church of St Bartholomew the Great. The church of St Bartholomew the Less is just inside the hospital's main gate. The north and south of the square are now closed to through traffic, as a part of the City's security and surveillance cordon known as the Ring of Steel. Find out more by going to Smithfield Market web site.